In my opinion, Logitech is one of the top companies for gaming accessories. Almost all their products belong to best sellers of their respective categories. Logitech has been consistent in producing some of the top gaming mice in recent years. 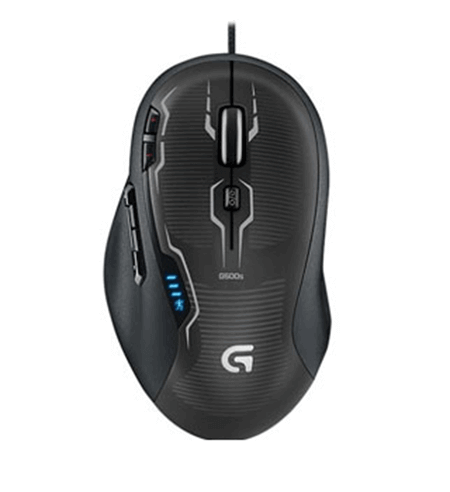 The Logitech G500s, one of those consistent gaming mice, is mostly used by professional gamers. It provides best in class accuracy and performance. It has a comfortable design, allowing users to use it for long sessions without any discomfort. The shape of the mouse is naturally a comfortable fit for most right handed users. The thumb rest, dry side grips and natural curve in shape are all perfectly combined to enhance the best user experience. What’s new? Considering its predecessor G500, there isn’t any major change in design. However, the major change I could notice in functionality is its accuracy. 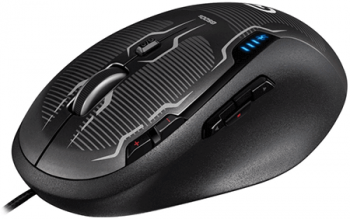 The Logitech G500s offers better tracking resolution and sensor. The G500 had the maximum DPI capacity of 5600 DPI while the G500s offers 8200 DPI. Build stuff also seems more durable in the later model. The Logitech G500s comes with 10 fully programmable buttons. Including the regular right and left click buttons, there is a clickable scroll wheel, two buttons for on-the-fly DPI adjustment. You can adjust the DPI through these buttons on 5 different stages from the lowest of 200 to a maximum of 8200 DPI. You can map all 10 buttons through Logitech’s own easy to use a software. You can assign macros or game commands on a single mouse click to assist you in gaming or increasing your productivity needs. Unlike the G700, It isn’t only “windows-mouse”. It works perfectly well on Mac and other major operating systems. The weight of a mouse plays an important role in surface friction, thus on gamer’s game play. The Logitech G500s comes with adjustable weight and balance tuning. Turn it upside down and you will find the weight cartridge. Logitech provides 12 weights. You can mix and match them for up to 27 grams of extra weight for what best suits your need. One thing that is lacking in almost all of Logitech’s major gaming mice is that they are not designed for left hand users. In the attempt to provide extra comfort, in-reach buttons, and proper hand grip, the Logitech G500s has become exclusive for right handed users. I have seen many lefties using it and actually playing serious online games, but they are not able to get the most out of it. 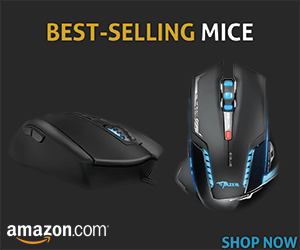 In a nutshell, the G500s is a typical gaming mouse. Each and every aspect of G500s is designed to give gamers better experience with games. From precision and accuracy to comfortable design, 10 fully programmable buttons, adjustable weight and balance, the G500s has it all to fulfill your gaming needs. As far as issues with lefties are concerned, I believe Logitech should launch accessories with the same level of comfort for lefties, too.